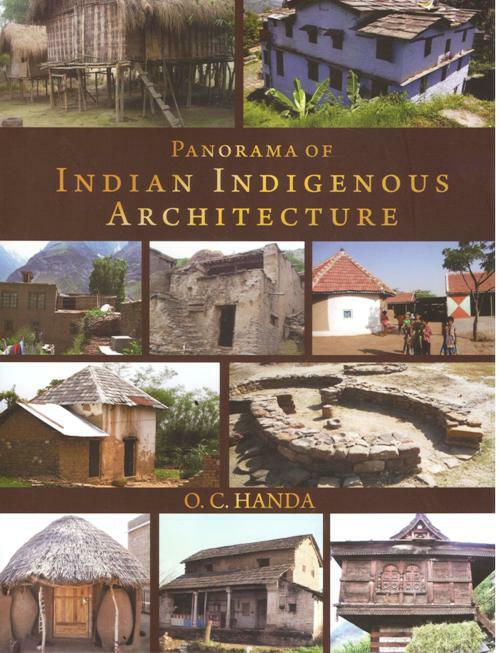 It is perhaps for the first time that a book on the Indian indigenous architecture is attempted. Written in a lucid diction, it deals with the architectural traditions of Indian adivasi communities, highlighting the vital architectural peculiarities of indigenous domestic architecture, which have so far remained completely ignored. The dwellings of adivasi people living in the secluded pockets are the true ‘homes’ in letter and spirit which offer warm, affectionate and protective acceptance like mother`s bosom, because each person of the family puts in his heart, soul and sweat to make these from the locally available raw materials. The walls painted with the enchanting devices and figures form an integral part of these ‘homes’. Thus, if the structure is a ‘physical component’ of a ‘home’, the wall paintings form its `spiritual component`. Therefore, none of these ‘homes’ is a cold structure, but the vibrant embodiment of grih-devata. The architecture of these dwellings is a class by itself for its nostalgic charm and quintessential qualities. It never transgresses the natural ambiance of the locality, but complements it by imparting ‘humane’ touch. Thus, each of the traditional homesteads forms an organic part of the local environment. This study may provide knowledge base to conceptualise the idea of ‘Green Architecture’ or ‘Natural Architecture’, which has lately become a worldwide craze against the conventional or the ‘synthetic architecture’. Obviously, the ‘Green Architecture’ has to be eco-friendly, conducive to the body, spirit and lifestyle of the people, responsive to the local cultural ethos and the natural environment. If some practices of the indigenous Indian architecture are modified and adopted into the ‘Green Architecture’ for the residential buildings as an alternative to the conventional ‘synthetic architecture’, the landscape shall look naturally greener and pleasing. 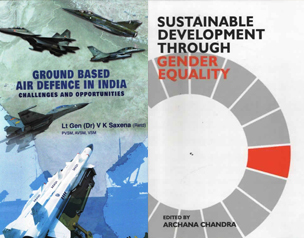 The book, spread in 13 chapters, is based on the field study of many years covering most of the adivasi pocket of the country. The book is tastefully illustrated with 80 interesting sketches, drawings and a few photographs that the author prepared during his field studies. This pioneering work is of great use and interest for the architects, policymakers, planners, sociologists and general readers. Dr. O. C. Handa (born 2nd Oct. 1936 at Mandi, Himachal Pradesh) is a well-known connoisseur of art and culture. Having been in the field now for more than half a century, he is an outstanding scholar of the Indian history and archaeology in general and the Himalayan region in particular. He has been travelling extensively in all parts of India, from the Trans-Himalayan interiors to the coastal regions to have firsthand knowledge of the sociocultural life of people and their creativeness. That underscores not only his zeal to explore the extant evidences of their history and culture but also his dedication to acquire the firsthand and authentic knowledge of their creative accomplishments. His writings vividly reflect that quality. Dr. Handa is a post-graduate in history from Mysore University, Ph. D. from Meerut University and D. Lit. from Agra University. Having come from the civil engineering background, he also underwent training in Archaeology. He remained in-charge of Museums & Archaeology in Himachal Pradesh for several years and remained Director of the International Roerich Museum Trust. 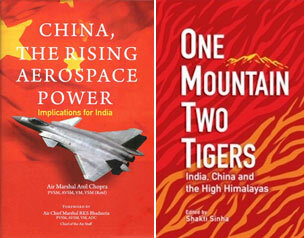 Dr. Handa has authored thirty-two books on the art, history, archaeology and culture. Besides, he has written many research papers for various national and international journals, and contributed to the Encyclopaedia of Hinduism. Thus, he has more than five hundred papers to his credit. He has been participating in the international, national and regional seminars and lecturing at various forums in India and abroad. He has also been performing on the radio and TV.